Perhaps you’ve heard of this tiny new mumblecore film, Star Wars: The Last Jedi? Just kidding—Star Wars is huge! You’ve probably seen the movie and regard it as exciting reinvigoration of old, calcified mythology. Or maybe you hate it and consider the film a treasonous act of franchise sabotage. Either way, you’ve seen it. 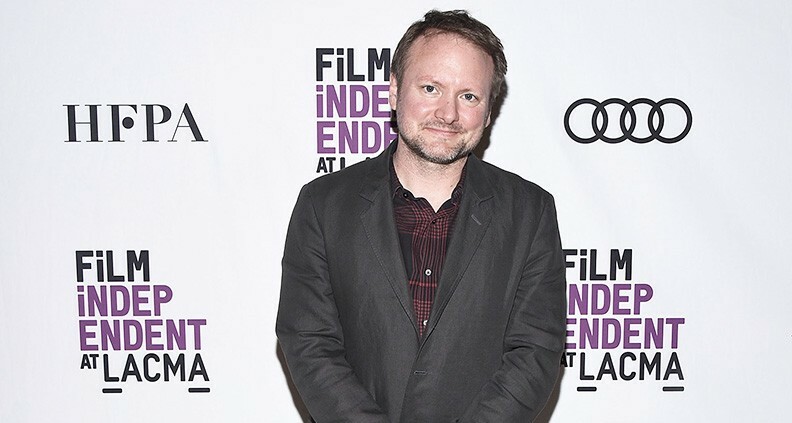 And on January 11, the man responsible for the year’s biggest and most weirdly divisive blockbuster—Last Jedi writer/director Rian Johnson—stopped by Film Independent at LACMA, leaving his beloved porgs to watch and discuss that other iconic George Lucas classic, American Graffiti. 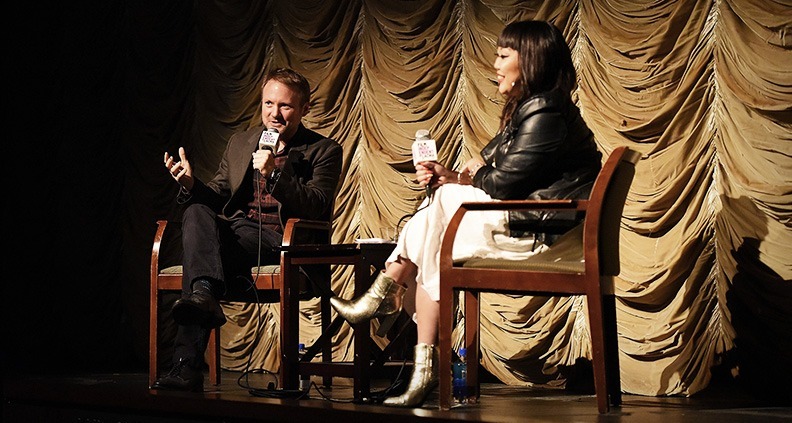 Part of Film Independent’s “An Evening with…” series, the event featured a 35mm screening of the 1973 nostalgia-drenched classic followed by a wide-ranging discussion between Johnson and the evening’s guest moderator, L.A. Times writer Jen Yamato. With two glasses of bourbon delivered to the stage for their chat, Yamato wasting no time in comparing Graffiti to Johnson’s own 2005 feature film debut, the high school-set neo-noir Brick. 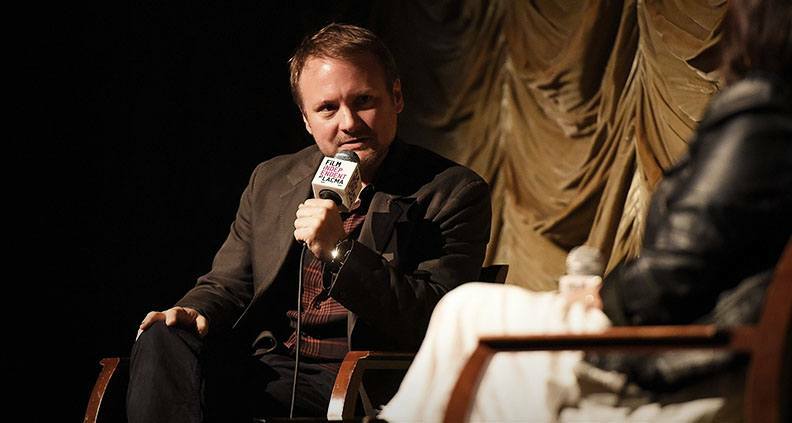 “You look any filmmaker’s first movie, it’s always autobiographical,” said Johnson. “Whether it’s locations or emotions or things you go through. I just wish Brick had done as well as this,” he said, referring to Graffiti’s unlikely box office success. “Or was half as good,” he tagged, self-deprecatingly. On their surface, Brick and Graffiti may appear to be wildly different movies. The former, the self-conscious tale of a teenage gumshoe (Joseph Gordon-Levitt) and the latter a sprawling multi-character survey of teen nightlife circa 1962. But aside from both being set in comparatively small California towns—Modesto in Graffiti, San Clemente in Brick—each film is constructed from fantasy versions of high school that each filmmaker developed based on their own teen experiences. Johnson called American Graffiti an example of nostalgia done right. He observed that the school dance depicted in the film “felt to sweaty and alive… not overly choreographed or overly pretty.” He emphasized the film’s grit, noting that Lucas eschewed the polish that crept into the 1950s nostalgia wave later in the decade in projects such as Grease (1978) and Happy Days (1974-1984). Happy Days, he said, was also the first time he noticed Graffiti co-star Ron Howard—coincidentally the director of the next Star Wars film, 2019’s upcoming Solo. Another link back to Star Wars is an appearance in the film by future Han Solo Harrison Ford, who plays hotshot drag race challenger Bob Falfa in an early film appearance. It’s not a big part, but Yamato and Johnson agreed that the soon-to-be Hollywood superstar makes the most of his short time onscreen. “These little looks he gives just slay,” cooed Johnson, who also singled out actress Candy Clarke—who plays daffy sock hopper Debbie Dunham—for individual praise. “A lot of the actors in this film were long-haired hippies,” said Yamato, who pointed out that even though only 11 years separated American Graffiti’s setting from the year of its production, those years (1962-1973) had seen a massive shift in youth culture away from the early rock ‘n roll days of the 1950s. Johnson also called attention to one of his other favorite, less obvious, acting moments: Richard Dreyfuss’s conflicted graduate Curt briefly lingering in front of his old locker for a moment as he solemnly wanders the halls outside a school sock hop. “He’s moving forward from the world he knows into something else,” Johnson said, comparing the emotion in the moment to Luke Skywalker’s bittersweet adieu to his home of Tatooine in Lucas’s original Star Wars (1977). Yamato and Johnson traded factoids about Graffiti’s circuitous production journey. “It’s the opposite of [Lucas’s USC thesis feature debut] THX-1138,” said Johnson, citing the advice producer Francis Ford Coppola had given the frustrated Lucas following the impenetrable 1971 sci-fi film’s failure to “make something more commercial.” Star Wars, Johnson said, was “a merging” of Lucas’s two prior films, combining the futuristic, world-building ambition of THX with the heart and humor of Graffiti. According to Yamato and Johnson, in Lucas’s original envisioning of Graffiti each of the film’s numerous divergent plotlines was intended to play out in full before resetting to follow another character on their adventure through the night. Test audiences hated it. Eventually Lucas and his wife, editor Marcia Lucas, hit upon the idea of crosscutting each of the four main characters’ stories for a more dynamic effect—a strategy used to great effect in Lucas’s Star Wars films, not to mention Johnson’s own The Last Jedi. Star Wars: The Last Jedi is in theaters—see it! 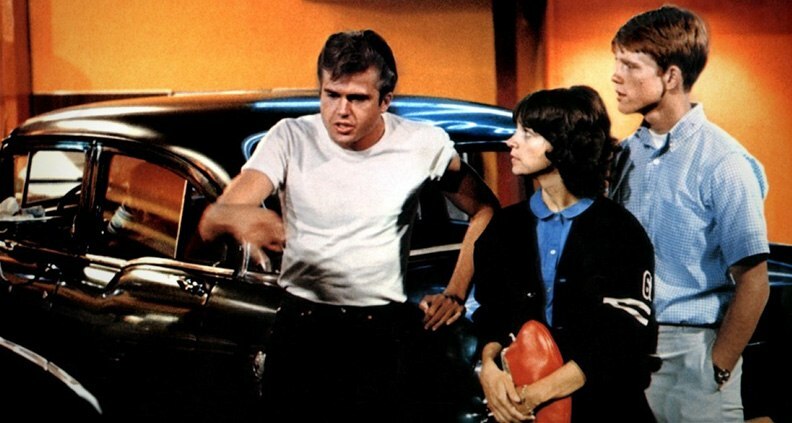 American Graffiti is available to stream on allmajor platforms, as are Johnson’s other films: 2005’s Brick, 2008’s The Brothers Bloom and 2012’s Looper.